Adults need recess too. Here's why you should make time to play. Research has shown that adults, too, have a lot to gain from the act of playing. When you think of playing, some memories from childhood most likely come to mind: digging for dinosaur bones in the sandbox, a game of tag at recess, spending hours with your toy of choice (whether it was a Barbie doll, a Hot Wheel’s car or a pile of Legos). But can you remember the last time you played? If you can’t, then you may be missing out on an important way to give your physical and mental health a boost. We’ve come to accept that play as an important part of a healthy child’s development, but who says they have a lien on play’s advantages? Definitely not science. Studies and research show that adults, too, have a lot to gain from the act of playing. Why is Play Good for You as an Adult? The most obvious benefit comes from play that involves physical activity. When done frequently, it strengthens your heart, boosts your lung function and lowers your risk of developing coronary heart disease. Not only that, physical play like sports and exercise, also reduce your stress hormones (e.g cortisol and adrenaline) and trigger the release of endorphins — your feel-good hormones — which elevates your mood and helps you relax after a stressful day. Physical play like sports and exercise reduces stress hormones and triggers the release of endorphins. Laughter, which is present in many kinds of playful activities, releases those same feel-good hormones. The act of simply laughing with others will also foster a sense of camaraderie and strengthen your relationships, too. At work, play increases your productivity levels and makes you more creative. In fact, in their book "Welcome to Your Child’s Brain: How the Mind Grows from Conception to College," Dr. Sam Wang and Dr. Sandra Aamodt discuss how play contributes to successful problem solving, not just at work, but in your personal life, too. "Work in adult life is often most effective when it resembles play. Indeed, total immersion in an activity often indicates that the activity is intensely enjoyable; this is the concept of flow, or what athletes call being in the zone," they wrote. "Flow occurs during active experiences that require concentration but are also highly practiced, where the goals and boundaries are clear but leave room for creativity. This describes many adult hobbies, from skiing to music, as well as careers like surgery and computer programming." Finally, as you age, play (especially the social and group kinds) facilitates happiness, wards off depression, improves cognitive health and lowers your risk of developing age-related diseases like dementia. What exactly counts as ‘play’? So you’re convinced that you could benefit from adding play back into your weekly routine. But what exactly does play look like for adults? Think of play as more of a mental approach to activities, not necessarily the particular activities themselves. In fact, you don’t really need to worry about if an activity constitutes as play or not, as long as you adopt a playful mindset and of course, have fun, while you’re partaking. It could be taking part in your favorite sport, playing a board game with your family, solving sudoku puzzles on the commute to work, swimming with friends, taking an exercise class or cooking a new recipe. Being happy, relaxed, free, feeling like time is flowing, not constantly checking your watch — those things signify that you are in play mode. 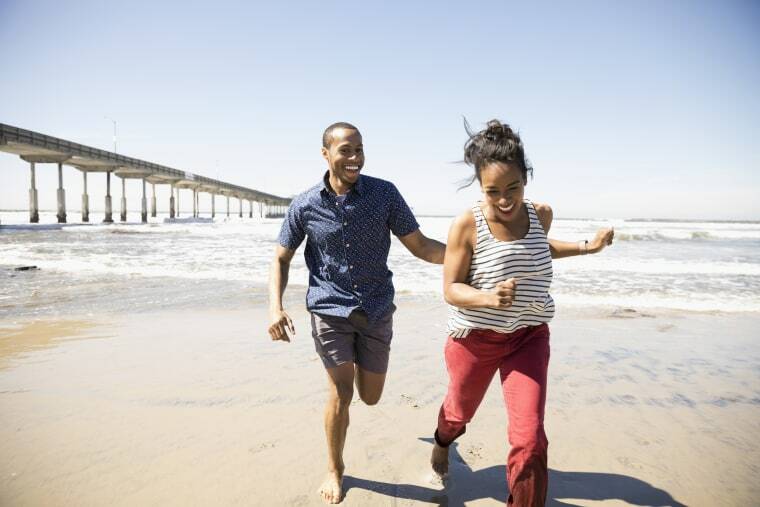 You can either carve out a special time for play, such as planning a weekend activity with friends, finishing a crossword puzzle every night before bed or heading out for daily morning runs. Or you can also decide to incorporate play into regular tasks that are already on your to-do list: like doodling while you’re on a conference call at work or singing and dancing in the shower or while you clean. Keep simple games, like Jenga, in your office. You can play solo or invite your colleagues to join you during breaks. Have colorful pens, pencils, crayons and large paper on the walls, where you and other people can freely draw or write. Put up posters or quotes of the day with humorous sayings or entertaining cartoons. Keep playful objects like a spinning top or a crystal prism on your desk to relax your mind, keep your hands busy during conference calls and reignite creativity. If your office is so austere that none of the other suggestions will fly, take a break from your work throughout the day to play with juxtapositions, metaphors and analogies in your mind. Play is being joyfully immersed in the moment, and as adults, we rarely do that. In a way, it is an active form of mindfulness, which is widely recommended and advocates being present and in the moment. Mindfulness has been proven to alleviate anxiety and depression. Studies also suggest that it can help you manage stress better and maintain a healthy weight.